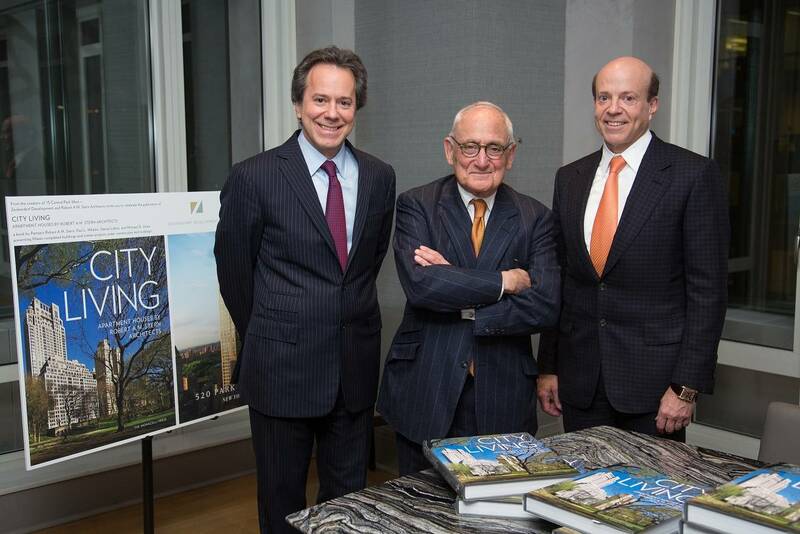 Written by Robert A.M. Stern, Paul L. Whalen, Daniel Lobitz, and Michael D. Jones––all partners at the world-renowned Robert A.M. Stern Architects––City Living: Apartment Houses presents 15 completed apartment complexes, alongside a portfolio of more than 15 projects that are either currently under construction or in design in major cities such as New York City and others throughout the United States, Europe, Asia, and South America. 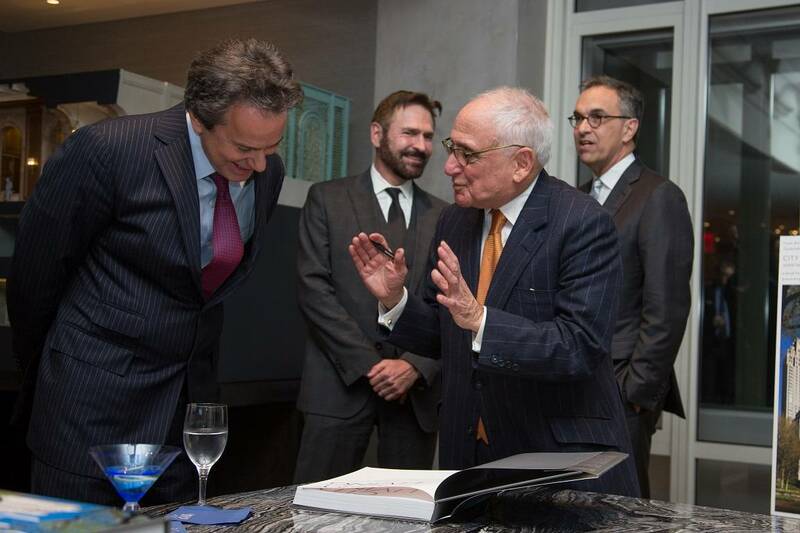 The launch event for the book, featuring 15 Central Park West on its cover, was held at 520 Park Avenue, a new luxury residential tower located at East 60th Street between Park and Madison Avenue. Upon completion, the 800-foot-tall tower will hold the title of the Upper East Side’s tallest building. The 54-story structure is slated to boast only 33 full-floor residences, which will be designed by Robert A.M. Stern Architects. Construction for the property that is being developed by Zeckendorf Development, with Park Sixty LLC and Global Holdings is projected to be finished sometime in 2018. 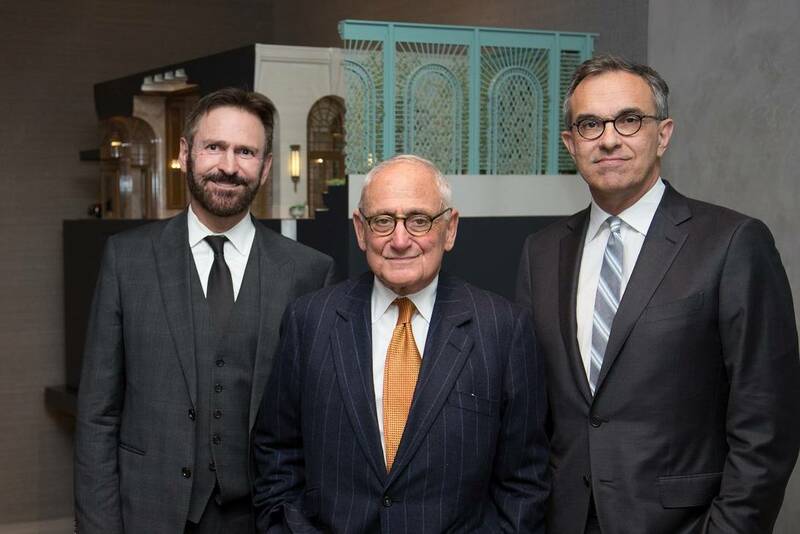 The sales gallery at 520 Park Avenue, which is where the City Living: Apartment Houses‘ launch took place, opened officially in September of last year. More information on 520 Park Avenue can be found here.